Restores and maintains skin's optimal moisture balance with 24-hour moisturisation. Enrich skin with this soft floral blend of lush white peaches, sensual rose, jasmine and warm vanilla, for all-day moisture that lasts. Nourishes skin with ultra rich moisture you can feel caress your body with a silky after feel. Lasted the test of time. SSS Soft & Sensual, has a delicate floral scent, made up of Jasmine and Rose. This applied after showering is a wonderful scent, which is almost caressing in its tones. Their is a hint of vanilla, but only just. SSS range works great on all skin types, and Soft and Sensual is one that feels good on all day. It works well on dry skin, keeping it moisturised. Its a excellant buy. 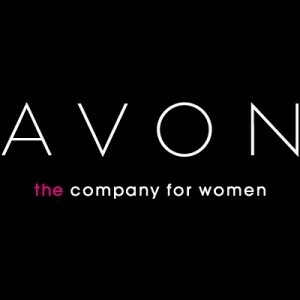 One of Avons Signature ranges, that has been around since they launched. It has last the test of time, Avon favourite. I don't know what it smells of but the SSS range is lovely sweet yet fragrant like a perfume and it really lasts on me. It is absorbed quickly on my skin and afterwards my skin feels soft and smells good. For the price this one is hard to beat in my view. Makes skin very soft. Smooths out bumpy bits! It's smells nice but I don't love it! Definitely worth buying if you have dry skin, it makes mine so soft. And it's very good value for money. i like using this particular body lotion,its not too runny and absorbs well. it has a nice scent which is very feminine.it is nice but not one i would use regularly. "SSS Soft & Sensual, has a delicate floral scent, made up of Jasmine and Rose. This applied after showering is a wonderful scent, which is..."